Signs of life…. and maybe a good Steak Frites in Sag Harbor!! Well the cob webs and dust have been cleared at the former site of Jean “Ed Kleefeld” Luc’s former JLX bistro in Sag Harbor. Workmen are busy cleaning up the location for a new occupant and a “help wanted” sign is posted in the window. The team that brought you Trata in the city and Water Mill are opening a new “French Bistro.” The site doesn’t yet have a name but after speaking with one of the people responsible Peter Chris, it sounds like it’s going to be top notch! YEAH!!! I love that location and it bothered me to see it sitting there looking so sad! The interior according to Chris will pretty much stay the same as it was in the days of JLX. Actually that’s a good thing.. the interior was never the problem with that spot. My favorite story from JLX bistro was the day they had no gas for the sodas and told me to run across the street to the Vincenzo’s pizza if I wanted a diet coke. And you wonder why they’re no longer there. 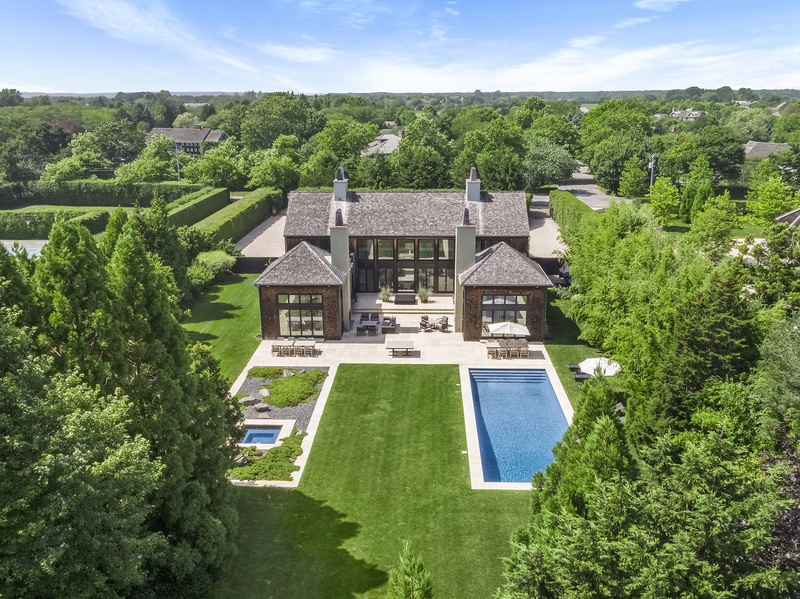 On another note… it’s rare I write about one of our office listings but Gioia Dipaolo’s in the Prudential Dougals Elliman Sag Harbor office has one of the most spectacular properties I’ve seen in a long time. Built by Charles Rich builders.. the property is a designers dream residence in North Haven Point. It has just been completed. 6 bedrooms, 8.5 baths and every amenity including all the Green advantages you want for healthy, efficient living. Open kitchen/dining/gathering area with fireplace, gorgeous master suite with fireplace and sitting area, laundry room, heated gunite pool, community tennis and beaches. The property will also likely be Silver Star energy certified. PRETTY COOL. Here’s the link and check it out!